Your body needs 90 Essential Nutrients a day (60 minerals, 16 vitamins, 12 amino acids and 2-3 Essential Fatty Acids) and many of these are not available from food alone so must be supplemented! Made with Certified Organic Ingredients! Contains No Wheat, No Starch and No Yeast! Over 8000 (ORAC) Oxygen Radical Absorbance Capacity! Includes Whole Foods, Plant Derived Minerals, Antioxidants, Prebiotics, Probiotics, Amino Acids, Essential Co-Facters and more! More than 100% of your Daily Value of Bone & Joint Vitamins and Minerals in just 1 serving! EFA plus features an exclusive blend of Essential Fatty Acids (Omega 3, 6 and 9) with a high Omega 3 profile; increasing the proprietary blend of essential fatty acids from borage, flax and fish oils, with added EFAs for extra support. Contains ALA, LA, OA, GLA, ERA and DHA! 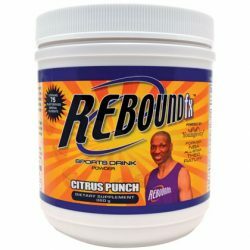 Rebound fx is a high powered alternative to the high sodium, high carbohydrate sports drink powders offered by others! Rebound fx provides quick, sustained energy while supplying a balance of antioxidants, natural herbs, and minerals that must be replenished in order for the body to function at optimum levels! 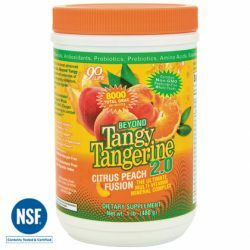 *The NSF mark is your assurance that the product has been tested by one of the most respected independent certification organizations in existence today. It is valued by customers, manufacturers, retailers and regulatory agencies worldwide. The NSF certification mark on a product means that the product complies with all the standard requirements. NSF conducts periodic unannounced inspections and product testing to verify that the product continues to comply with the standard! *The International Fish Oil Standards (IFOS) Program is the only third party testing and certification program for fish oils! IFOS sets the world’s highest standards for purity, potency and freshness. The purpose of IFOS is to allow companies to showcase their high quality, premium products, and to provide customers with an easy, transparent way to compare fish oil products before they buy. *These statements have not been reviewed or approved by the Food & Drug Administration. This product is not intended to diagnose, treat, cure or prevent any disease!